Agillitics provides supply chain consulting services to companies. These services strengthen a company’s supply chain and lay the foundation for an improved business. 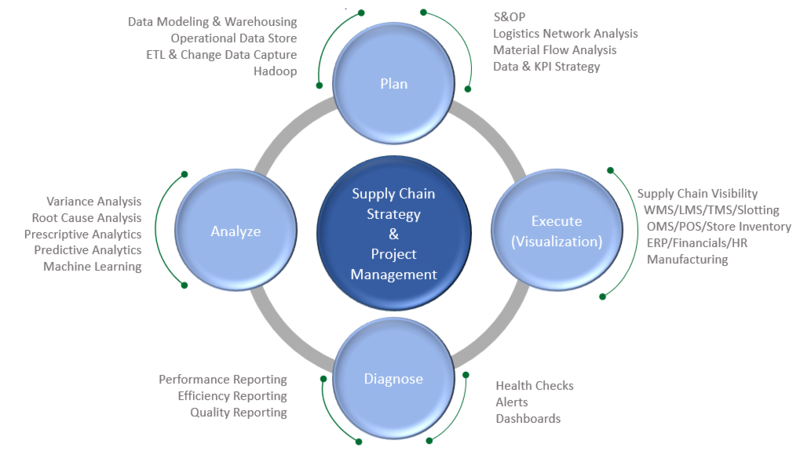 The graphic demonstrates the intertwined components of a successful supply chain strategy. Contact us to discuss our services in more detail.